With its temperate climate and usually mild winters, Georgia has a thriving sod-farm business. These farms are located in the central and southwestern portions of the state, away from the mountains in the north and the salty soil along the coast. In addition to selling sod, these companies often sell other items such as seed. The Middle Georgia Sod Farm is located in the central part of the state, approximately 30 minutes southwest of the city of Macon. The farm is a franchise of the Patten Seed Company, which has locations in Georgia, North Carolina, South Carolina, Alabama, Florida, Tennessee and Virginia. 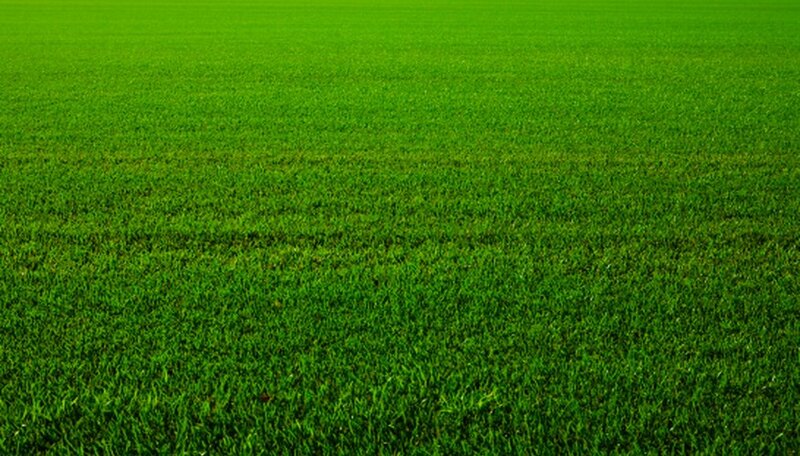 Types of sod grass sold include Bermuda, various Centipedes, Tall Fescue, Mercedes St. Augustine and Zoysia. It is open every day but Sunday, and customers can also get a price quotation either by phone or through its website. Trees and seed are also available for purchase. Heritage Turf Farms in Central Georgia caters to both wholesale and retail customers. It ships seed to anywhere in the United States and will deliver sod to anywhere in the southeastern part of the country. Its sod products include Centipede, Tifway Bermuda, Empire Zoysia and Palmetto St. Augustine. This family-owned business has been in operation since the mid-20th century. It has supplied grass for the Augusta National, Doral Country Club and Pinehurst Golf and Country Club courses. It also sells fertilizers, fungicides and pesticides, as well as landscaping equipment such as spreaders. The Donalsonville Sod Farm can be found in southwestern Georgia. In operation since 2001, the farm encompasses 300 acres and plans in the fall of 2010 to add 100 more. Its motto is, "We Grow Our Reputation.'' Types of sod available include Centipede, Palmetto St. Augustine, Seville St. Augustine, Empire Zoysia and Bermuda. Its grass is available in either 200-foot rolls or on pallets. The Donalsonville Sod Farm can be contacted either by phone or email.